Earlier this month, Amazon Web Services introduced the ability for customers to access AWS services over AWS PrivateLink. Now AWS is extending PrivateLink to let users access third-party SaaS applications from their Virtual Private Cloud (VPC) without exposing their VPC to the public Internet. Traffic stays within the AWS network, reducing threat vectors such as “brute force” and distributed-denial-of-service (DDoS) attacks. Services supported on AWS PrivateLink are delivered using private IP connectivity and security groups, and function like services that are hosted directly on a customer’s private network. AWS PrivateLink also lets users connect services across different accounts and VPCs within their own organizations, significantly simplifying their internal network architecture. AWS PrivateLink is now generally available in US East (N. Virginia), US East (Ohio), US West (Oregon), US West (N. California), EU (London), EU (Ireland), EU (Frankfurt), Canada (Central), Asia Pacific (Mumbai), Asia Pacific (Seoul), Asia Pacific (Singapore), Asia Pacific (Sydney), Asia Pacific (Tokyo) and South America (São Paulo) regions. Amazon Web Services (AWS) introduced a fully managed intelligent threat detection service for protecting their AWS accounts and workloads by continuously monitoring account activity for malicious or unauthorized behavior. Amazon GuardDuty continuously applies machine learning to identify any events that fall outside the normal patterns. AWS said it is using both proprietary, AWS-developed threat intelligence sources and industry-leading third-party sources. Amazon GuardDuty can send all findings to AWS CloudWatch Events and supports API endpoints through the AWS SDK, allowing for interoperability with third-party solutions such as Alert Logic, Evident.io, Palo Alto Networks, Rapid7, Redlock, Splunk, Sumo Logic, and Trend Micro. Turner, which is the Time Warner global entertainment, sports, and news company, has selected AWS as its preferred cloud provider. Turner's properties include TBS, TNT, Cartoon Network, Adult Swim, CNN, NCAA, and NBA. Turner is reengineering its end-to-end media supply chain on AWS. The company is looking for a more secure, cost effective, and elastic way to distribute digital content to its customers. The effort includes moving decades of content to the cloud—including a 15-petabyte-sized library of archived CNN videos—and is using AWS for a wide variety of services spanning compute, storage, networking, databases, developer tools, analytics, and machine learning. Turner plans to use ML to analyze and extract video metadata to make decisions about how to best optimize content delivery systems for more personalized viewer experiences, and better inform advertisers, content creators, and media research analysts on viewing trends. Other media companies on AWS include Amazon Video, AOL, BBC, Channel 4, C-SPAN, Daily Voice, Discovery Communications, Flipboard, GoPro, Guardian News & Media, Hearst Corporation, Hulu, LIONSGATE, NDTV, Netflix, News International, News UK, Newsweek, PBS, Simfy Africa, Sony DADC, SoundCloud, Spotify, Time Inc., and United Daily News. 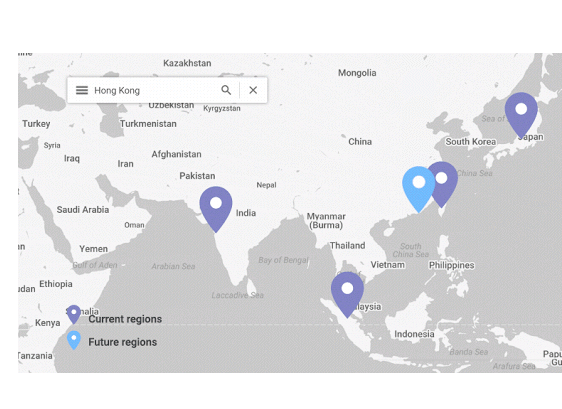 Google Cloud Platform will open a new data center region in Hong Kong in 2018. The GCP Hong Kong region is being designed for high availability, launching with three zones to protect against service disruptions. Hong Kong will be the sixth GCP region in Asia Pacific, joining the recently launched Mumbai, Sydney, and Singapore regions, as well as Taiwan and Tokyo. Google says it has other Asia Pacific investments in the works. 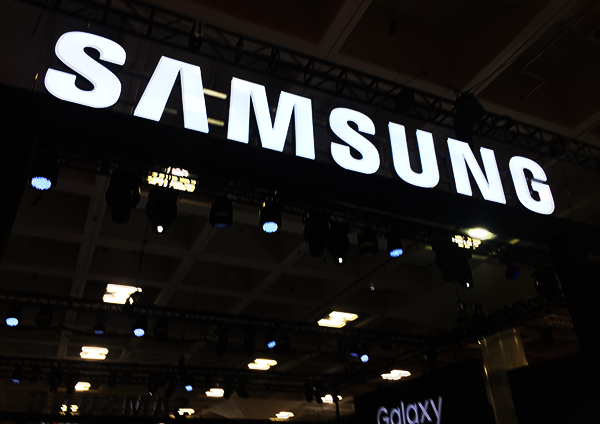 Samsung Electronics Co. announced mass production of System-on-Chip (SoC) products built on its second generation 10-nanometer (nm) FinFET process technology. The new 10LPP (Low Power Plus)process technology boasts up to 10-percent higher performance or 15-percent lower power consumption compared to its first generation 10nm process technology, 10LPE (Low Power Early). Samsung also announced that its newest manufacturing line, S3, located in Hwaseong, Korea, is ready to ramp up production of process technologies including 10nm and below. Western Digital pledged its support for the RISC-V, an open and scalable compute architecture. The company plans to transition future core, processor, and controller development to the RISC-V architecture. Western Digital currently consumes over one billion processor cores on an annual basis across its product portfolio. The transition will occur gradually and once completely transitioned, Western Digital expects to be shipping two billion RISC-V cores annually. The company is committed to advancing RISC-V technology for use in mission-critical applications so that it can be deployed in its products. Western Digital recently completed a strategic investment in Esperanto Technologies, a developer of high-performance, energy-efficient computing solutions based on the open RISC-V architecture. Esperanto, which is headquartered in Mountain View, California, includes a seasoned team of experienced processor and software engineers with the goal of making RISC-V the architecture of choice for compute-intensive applications, such as machine learning. Toshiba Memory Corporation started sampling Universal Flash Storage (UFS) devices based on 64-layer, BiCS FLASH 3D flash memory. Four capacities are offered 32GB, 64GB, 128GB and 256GB. Target applications include mobile devices such as smartphones and tablets, and augmented and virtual reality systems.